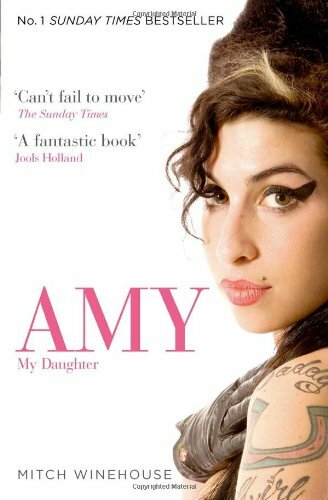 by Mitch Winehouse | Biographies & Memoirs | This book has not been rated. I love Amy Winehouse's music, thus it will be interesting to read a book about her. Thank you for passing this on. ... her mental state changed from day to day - it all depended on which day you happened to be talking to her. I have read the book now, but whether I enjoyed it or not can be debated. I think another, non-bias, author would have been more interesting for me as a reader. On the other hand, I do understand why Amy's father wants to tell his story, to emphasise on all the good things/sides with Amy. But it is way to onesided. In addition, I did not think it was particularly well written either. Full of sentences like the one I wrote in the previous JE, of course it Amy's mental state was different from day to day, how she acted would depend on which day it was! Anyways, I am glad I slugged through it, and will probably keep my eyes open for a biography from a neutral author.